Number Tracks and Number Lines are incredibly important in helping children to count and understand the number system that we use. It is important to have these around the classroom or the house, at an appropriate height for children to see and touch. If a Number Track is difficult to see or cannot be pointed to easily it just becomes another piece of background wallpaper. Large, colourful number tracks can be found in many shops. There is a difference between a number line and a number track. 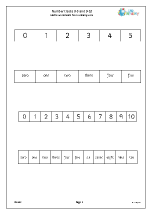 A number track is a set of squares, rectangles or cells with a number in each that identifies that cell. 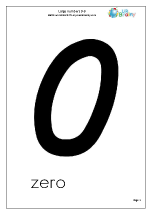 This means that the numbers will usually begin with 1 (not zero). 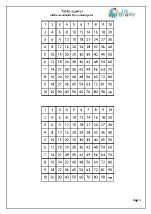 A 100 square is ten sets of number tracks arranged in rows. In a number line it is the divisions which are numbered, rather than the spaces or cells. 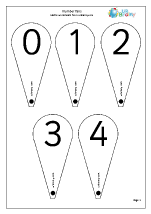 They can begin with any number and they can show any number sequence. 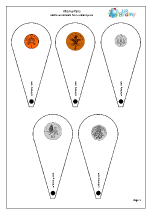 Later it can be shown that the points between each of the divisions also have a value. 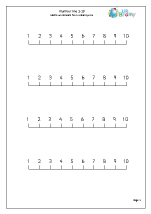 Another important aspect of number lines is that they can be extended both forwards and backwards from each end, leading to negative numbers. A number line gives a representation of the concept that number is continuous and endless: great for those who love daydreaming about eternity! 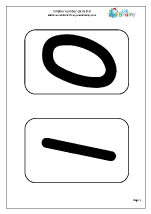 Place value cards are a really valuable resource. 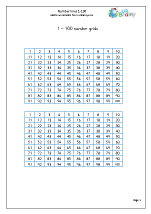 With nine cards printed with multiples of 1000 from 1000 to 9000; nine with multiples of 100 from 100 to 900; nine with multiples of 10 from 10 to 90 and ten with the numbers 0 to 9 it is easy to build up three or four-digit numbers by overlapping cards of different widths. e.g. 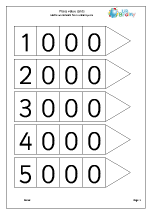 the 5000 card + the 400 card + the 20 card + the 8 card can overlap to make 5428. 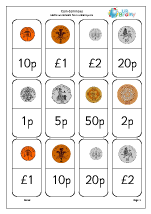 This is a great way for children to understand place value and these types of cards have been popular in primary schools for many years, but are not easily available to parents. 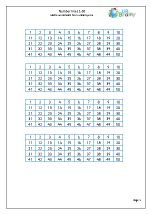 Another valuable resource is a times table square and we have just published two, one for times tables up to 10 x 10 and one for tables up to 12 x 12. 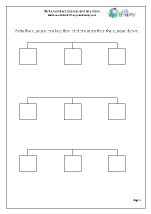 Great for learning tables and seeing the many patterns that are within the square.